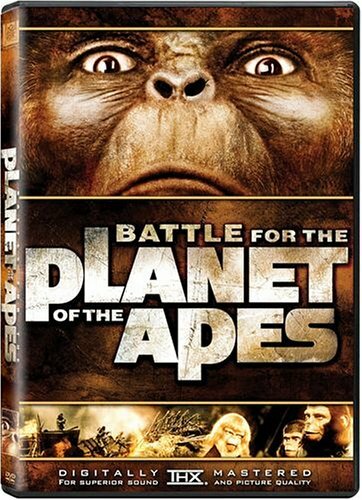 The fifth and last of the Planet of the Apes movies is the story of the ape civilization trying to live peacefully with human beings, who are atom bomb mutations. I started my ‘Planet of the Apes” movie series rewatch nearly a year ago now, with this last one sitting there taunting me. Being hung over and ready to just zone out, I popped it on and watched it, and it’s about what I remember it being: a very low budget film with a heartfelt message that walks right up to the line of being too over the top, but never really crosses that line. The budget is obvious in that they had about 3 different sets, one of which was a giant open field. Being low budgets doesn’t necessarily mean it was a bad film though, I really did enjoy the movie, though it ended very quickly in terms of how they wrapped everything up.